Human brains try to make sense of the data of the world and of our consciousness, organizing it into a system with coherence and correspondence to reality. We craft a world view to explain a diverse range of empirical, psychological and social data. 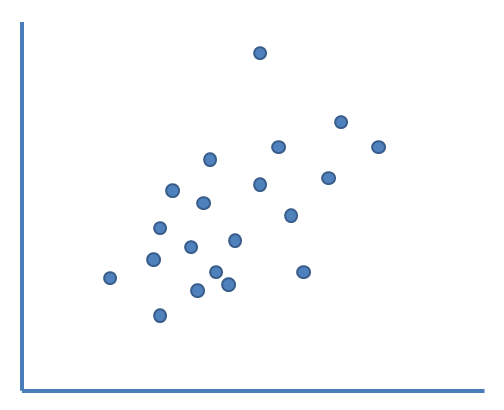 But there is a saying in science that if you want to measure a trend, never measure more than two points because the more data you have the less likely it will be that you can explain it with an elegant model. And that is the problem in the data-rich post-modern culture is that it is hard to hold together with a simple, parsimonious model. Conflicting data leaves any world view that seeks generality in a position of cognitive dissonance. Science has dealt with this problem for decades. We use statistics to evaluate the ‘fit’ of explanatory models, which allows us to evaluate the extent to which the model explains empirical reality, while remaining agnostic with respect to factors causing observations do diverge from the model. We call this ‘goodness of fit’ analysis. This gets to the problem with our discourse, be it political, theological, or marital. We assume that singular data points can make and break a model, without considering how the model performs in explaining the overall data set. For example, while there are very good Christian approaches to reconcile the Biblical creation narrative and the evolutionary narrative, the materialist, naturalist, and even positivist world views fit that data point better. However, when it comes to two of the most fundamental empirical observations that our models of reality have to explain: existence and consciousness, theistic worldviews outperform the secular options. The problem with talk about, say ‘the problem of evil’ or ‘the fine tuning of the universe’ is that it divorces a single data point and goes all in on a single observation, when the way to evaluate a world view is on overall goodness of fit. 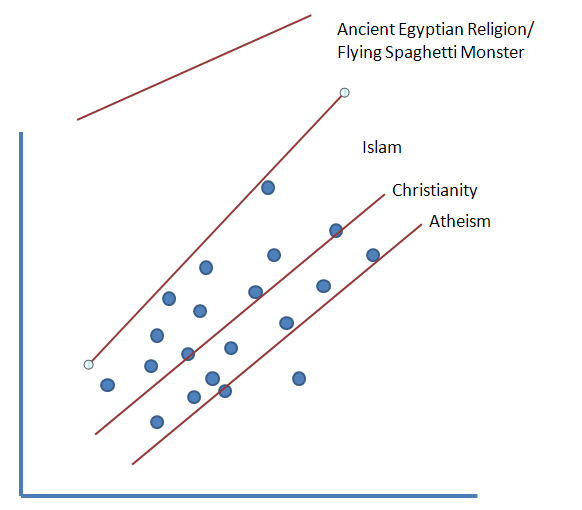 Consider the following cartoon of a data set of empirical observations. 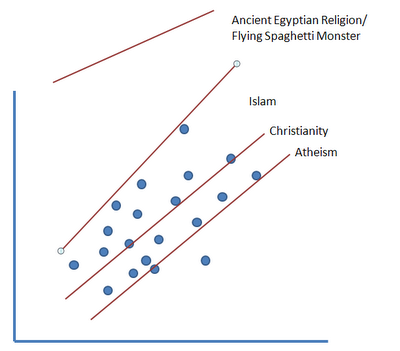 There is no simple, elegant model that will explain all of the variability in this data. Even the best possible fit will do well on certain data points and poorly on others. World view selection should not be a process of precisely explaining all of the variation, but optimizing the goodness of fit and then going to work on the residuals. And this is where confirmation bias can be so powerful. By focusing our attention (and the attention of others) on observations that our world view explains well, we can create the illusion of a best fit. This is one of the reasons I try to read and study broadly and outside of my tradition. By reading secular literature and residing in academic disciplines that tend to be antagonistic to my world view, I can honestly identify the places where my world view returns high residuals. But I have also come to believe that Christianity offers the ‘best fit’ to my empirical, psychological and mystical experience. An alternative to this is to go with a more complicated model that explains more of the data. This is where pluralism has been so successful. 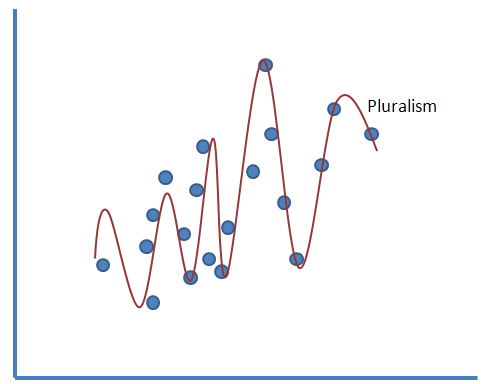 Pluralism complicates the model to explain more of the data and decrease the residuals. However, it is not a parsimonious model and so it does not add much explanatory information to the data. It has no generality. It is just a restatement of the data. This decreases the residuals, but is too contrived to be likely. Additionally, it has been popular for the ‘new Atheists’ to compare Christianity to ‘extinct’ ancient relations (like Egyptian or Babylonian religious systems) or, and arbitrary imaginary one (they enjoy ‘the church of the flying spaghetti monster’). But this is not a useful argument. Those world views have no serious contemporary adherents because, they not only have dismal r-squared, but they do not provide a superior explanation of a single observation. Their residual is higher than serious contemporary world views on EVERY observation. This process of evaluating the goodness of fit is something everyone does either implicitly or explicitly. This is why world view allegiances change so infrequently. 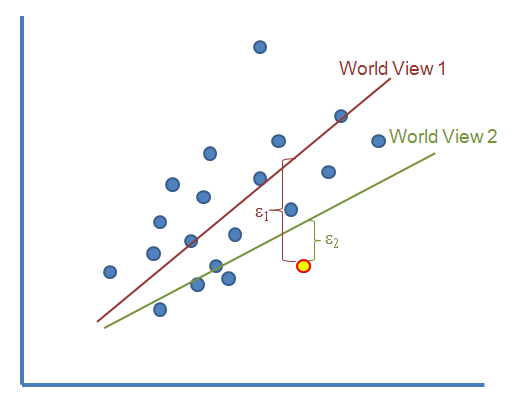 World view adherence has inertia of past residual computation. So even if a conversation or a book changes you residual on one or two observations, overall goodness of fit only changes over time. ‘Sudden’ world view changes (like Updike’s patriarch in Lilies of the Valley who loses his faith while walking down the stairs in one day, or CS Lewis’ motorcycle ride where he reports that at the beginning he wasn’t a Christian and at the end he was) are really the result of a process of the long term evaluation of residuals finally shifting the balance to a different model. Re: the famous maxim that a culture that is data rich is attention starved. There are three major ways that emerging generations deal with this cognitive dissonance. (1) Uncritically adopt the prevailing model and stop taking data to assess it. This leaves more time for economic pursuits, video games or hooking up. This seems to be the most popular approach. (2) Adopt pieces of classical and innovative models ad hoc. It is pretty common for us to maintain compartmentalized and contradictory models of reality and apply them to different problems in our lives. (3)Adopt a well attested, historical metanarrative (e.g. 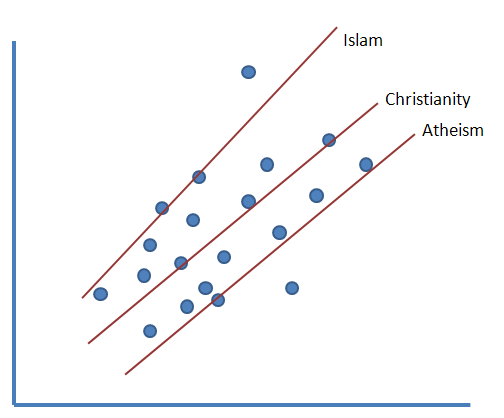 positivism, Christianity, Islam, existentialism**) and either ignore or actively work to resolve the cognitive dissonance that it generates with data that doesn’t fit well, making adjustments where necessary, but keeping the central assertions intact. **footnote to footnote: Anyone who has read this blog for very long knows that existentialism has been employed effectively by Christians and atheists. Most of my favorite nineteenth century Christian thinkers (Kierkegaard, Pascal and Dostoevsky) are counted as proto-existentialists. And most of my favorite atheists (Camus, Sartre, Foucault) were existentialists. But I am using it here in the later sense as a non-theistic alternative to positivism (because despite the recent popularity of positivism, I just don’t find it credible enough to afford it the status of a ‘credible historic metanarrative’). In my opinion existentialism is, by far, the most workable form of atheism. I have found positivism entirely useless in moving from ‘how things are’ to ‘how should I live,’ which a world view absolutely must do. I am doing a seminar that will cover at least a dozen such attempts in a couple weeks. Look for an MP3 to show up on this site and/or the preaching site. Why is there something instead of nothing? And why do we, as loosely bound collections of elements, cohere as a ‘self’? A residual is a quantification of the deviation between the observation and the model. For example, linear regression optimizes the ‘best fit’ model by minimizing the mean square of the residuals. Lower sum of the square of the residuals. 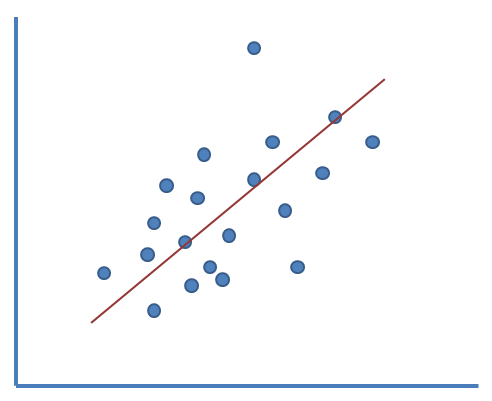 I am using linear regression here as a heuristic which, of course, is an absurd analogy…but it is intuitive and makes the case I am trying to make. We live in a vacant, uncaring universe and only exist as individuals because every generation that donated genetic material to our collection got that genetic material into future generations primarily through violence, seduction or deception…so of course that is how we treat each other. Seriously, Dennitt, Dawkins et al. seem a little absurd mounting such a virulent assault on theism from their self-declared empirical high ground only to invoke the entirely non-falsifiable (and empirically unattested) Smolinian parallel universes to respond to ‘fine tuning’ arguments. The anthropic principle isn't a slam dunk for theism. But our interlocutors ought to have the courage to cede the lower residual to Christianity and then try to claim the better overall fit. It would be a more honest conversation. Than both, in my opinion. It is confirmation bias for atheists to restrict observations to those that are measurable. Our experiences of consciousness and what sociologists call the broad human experience of transcendence (in various forms) are observations the model has to account for. Those of us who have had limited direct experiences of transcendence tend to have a higher tolerance for substantial residuals on the mystical data. But a model still has to account for them. This is not philosophy, or even rhetoric…this is bullying. To compare Christianity to ancient Egyptian religions may not be accurate, but at least it is fair. 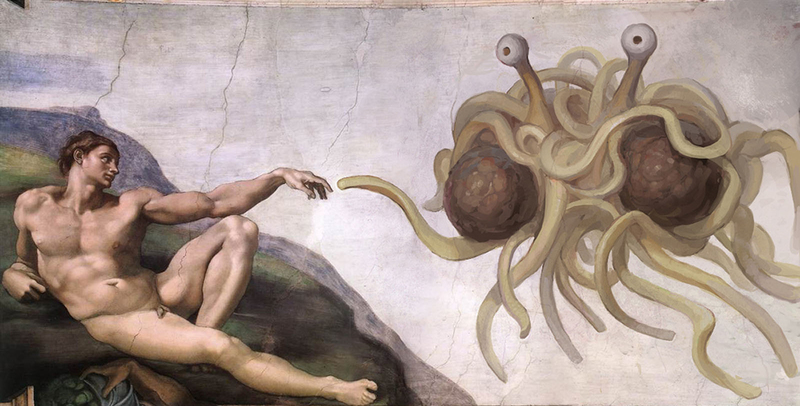 The ‘flying spaghetti monster’ stuff is just douchey. It is an example of a common tactic in this literature to shame or ridicule rather than argue. It is an appeal to vanity (you are dumb, you don’t want be dumb do you, be smart) rather than reason. The rhetorical term for this is ‘horse laugh’ and it is effective for changing minds (because of its appeal to vanity) but is an example of precisely the kind of argument outside of the arena of ‘reasonable discourse’ that they accuse theistic proponents of. Last year I met with a student who was really interested in the cosmic context of the Bible (e.g. what happened before God created, where did angels come from, why did God create…totally impenetrable questions like that). The Christian scriptures are mostly silent on these things. A lot of the most direct information we have on them is near the end of this 1000 page book (in the cryptic “dragon chapter” - Revelation 12). The student posed the obvious question, “why is the first information we get about the beginning, at the end.” Great question. Here is my take on it. The Christian Scriptures are not a paleo-history text, they are a story that we are invited to join. So they often unfold with characteristic narrative flair. And that’s why Revelation chapter 12 is works in the narrative structure of the Christian Scriptures like the penultimate episode of Lost. 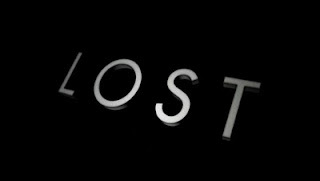 In episode 15 of the final season of Lost, 117 episodes into the story, with scarcely 2.5 hours of narrative remaining, the story went off timeline. It told the story of the ancient history of the island and the cryptic origin of the good and evil characters. As the narrative was building to a climax, JJ took an entire episode to finally let us in on the back story…because the ending would be more meaningful in light of the back story. Back story is tedious until we care about the story. 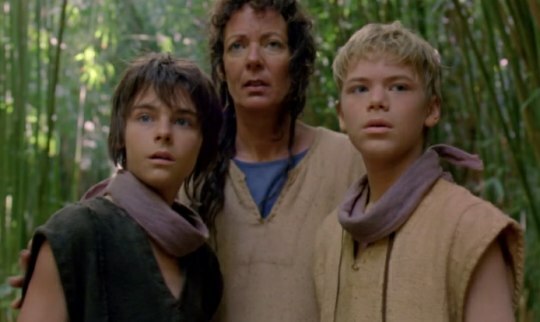 Jacob’s origin only mattered to us because we cared about Jack, Kate and Hurley. This seems like a pretty good parallel for why the pre-Genesis material in the Bible lands 99.4% of the way into the book. The stuff in Revelation about the angelic fall is temporally situated before the rest of the story. But that is kind of the point. The Bible is a story of God’s protracted rescue of our wayward species…his inversion of the human predicament. Pre-historic cosmic warfare is not the point of the story. It is a different story. And it is only revealed near the end of the narrative where it casts light on the climactic scene of the story being told. Generally I ascribe to a preterist interpretation of Revelation (i.e. most of it was apocalyptic code about the Nero persecutions and is neither about the distant past or distant future) but I kind of think Revelation 12 is an exception. I am considering episodes 16 and 17/18 a single narrative whole, making 15 the penultimate episode. Which is an odd thing to say about a show that played so much with timelines. So, I really like JJ. We were into Alias and really liked Lost. But the guy makes things up as he goes along. This is how the Bible is different than Lost. The Bible knows where it is going from the beginning. Genesis points elegantly towards Revelation, through the lens of the gospels. Lost had to add previously unintroduced characters several seasons in just to escalate the narrative enough to sustain a ratings cash cow. I mean, who would voluntarily sit down and read the Similarion as a stand alone work. I was going to write pre-paleozoic…but I’m not sure I can place it temporally with that kind of accuracy. In City of God, Augustine places the whole angelic narrative in Genesis 1:1. But depending on how you read Genesis 1-3 (something I will be talking about in the fall and, so, will probably trickle into this blog) it is conceivable that these events could have occurred during some era of earth paleo-history. One I look forward to hearing, but mostly do not know. But it is worth noting, if there is another grand story that we only have hints at, how many other stories are there for us to hear and tell in an eschatological existence. Reality is likely far more drama rich than we know. Um, there is a bad pun here given that the whole Lost series was about some light in the middle of the Island. I am reserving my thoughts on the Lost finale for another post (in which I’ll argue that the Lost finale left me with precisely the same senses of satisfaction and disappointment as the Battlestar Galacitca finale). This post should come out with my characteristic relevance…which is to say, within a decade of airing.